Within the covers of the remarkable book you hold in your hands, you will find simple, practical and effective ways to understand and to rise up to the many mind-boggling challenges that the parent- child relationship brings into your life. Most of us look for better ways to handle our children when the first crisis involving our child stares us in the face. This book written by two leading psychologists with over a decade of experience of working with both children and parents presents explanations of complex concepts without the complex jargon, tips to help you as a parent use a more rational and scientific approach while dealing with your child and most importantly deals with issues that plague today’s families including the toxic effects of the media, social skills, quality time, the integration of the mind, body and spirit with a conscious awareness and emphasis on parenting styles and understanding and management of misbehaviour in children. 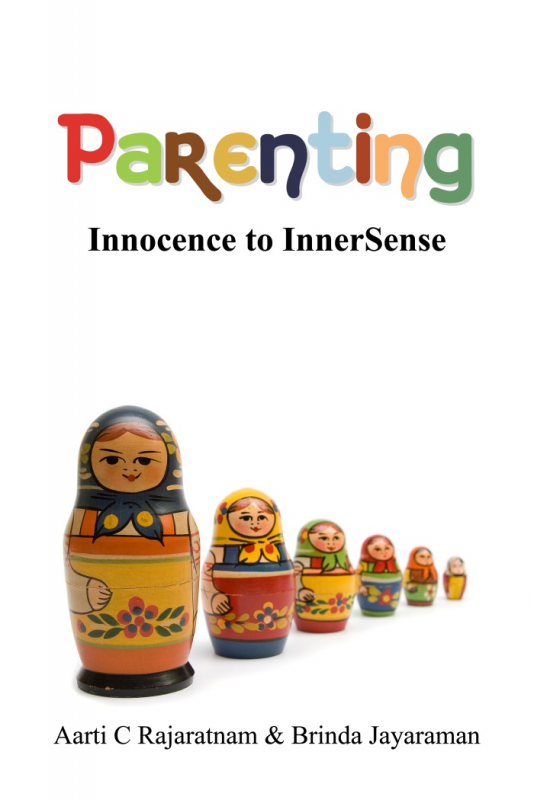 Helping children move from a state of Innocence where external influences guide action and shape personality to a state when InnerSense takes over as an internal compass through effective parenting is what this book has been engineered to achieve. Aarti C Rajaratnam is a multi faceted, intuitive and inspiring Psychologist, Counsellor, Educationist, NLP Master Practitioner and Trainer who has reached out to more than 25000 children through her work in India and abroad. She has been instrumental in designing innovative schools and implementing curriculum models like the Million Smiles curriculum in Urban India, while constantly reaching out to children in villages and slums with an equally effective and financially viable module for Holistic Learning. She is also a popular speaker and writer and has been invited across the globe to share her insights and experiences in the fields of creative education and psychology. She is the Director of KRITI Play School which is synonymous with an innovative and scientifically sound curriculum that integrates the principles of psychology, education, science and spirituality effectively. Aarti’s mission in life is to redefine education systems all over the world to make Holistic Learning accessible to all children irrespective of cultural boundaries, economic barriers and limiting mindsets. Brinda Jayaraman is a leading Counsellor and Trainer who can be credited with spearheading the concept of Counselling and Psychological Well being in Chennai and is the Co-Founder of the Chennai Counsellors Foundation. She has trained parents, counsellors, teachers and children on a wide range of topics during a career spanning two decades. Her workshops for parents and counselling sessions for couples are very popular as are her regular shows on several satellite television channels, FM Radio channels and leading magazines for women. Brinda is the most sought after trainer for sessions designed specifically for adolescents and young adults where she effectively interweaves her sound knowledge, practical wisdom and sensitivity to help her students develop a deep sense of identity and confidence. She is also a board member and mentor trainer for the much acclaimed Agaram Trust that nurtures the dreams of underprivileged children through education.